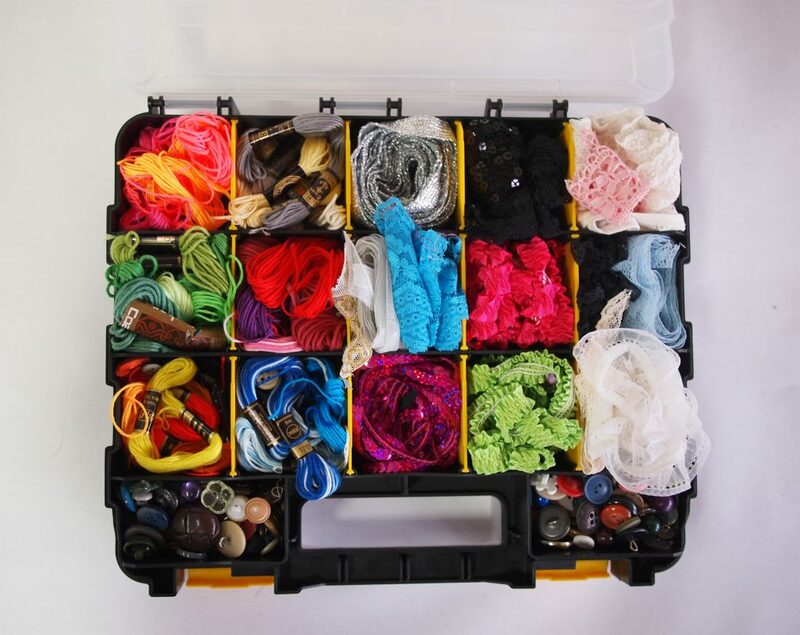 MCR: It’s Time for a Fashion Revolution! 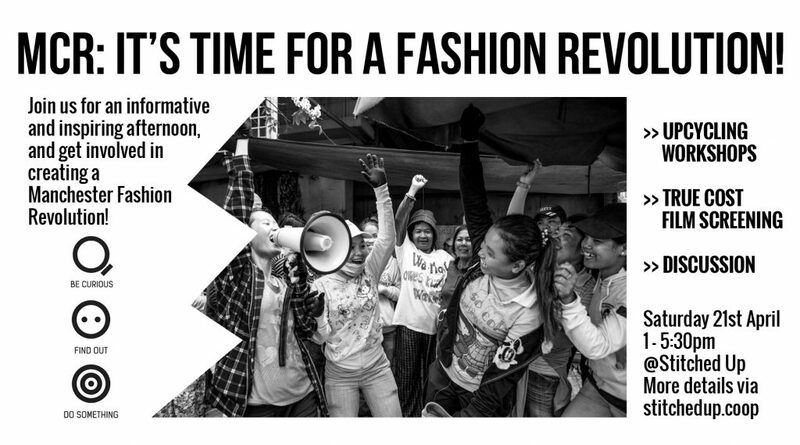 This year, Fashion Revolution Week has it’s fifth anniversary. This marks five years since the Rana Plaza garment factory collapse – the biggest industrial disaster in Bangladesh’s history, in which 1,138 people lost their lives and thousands more were injured. On Saturday 21st April, we are holding an event to commemorate the lives lost on this day and to look forwards at what changes have happened since, and how we can all be involved in creating a fairer fashion future. – Meet the people in Manchester working towards a more just and sustainable fashion industry. 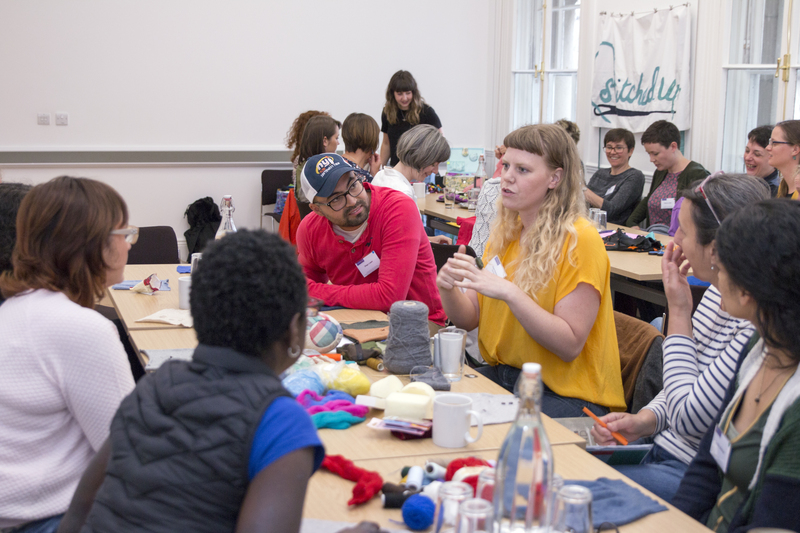 – Find out how YOU help to make a difference and get involved in Fashion Revolution Week 2018. There are three parts to the afternoon, and you are welcome to join in with as many of them as you can. We will be announcing further details in the run up to the event, so please keep an eye on the event via Facebook or our website for the latest updates. All events are free to attend. However, this event is un-funded so we will be taking donations on the day to help cover our staffing costs and venue overheads. 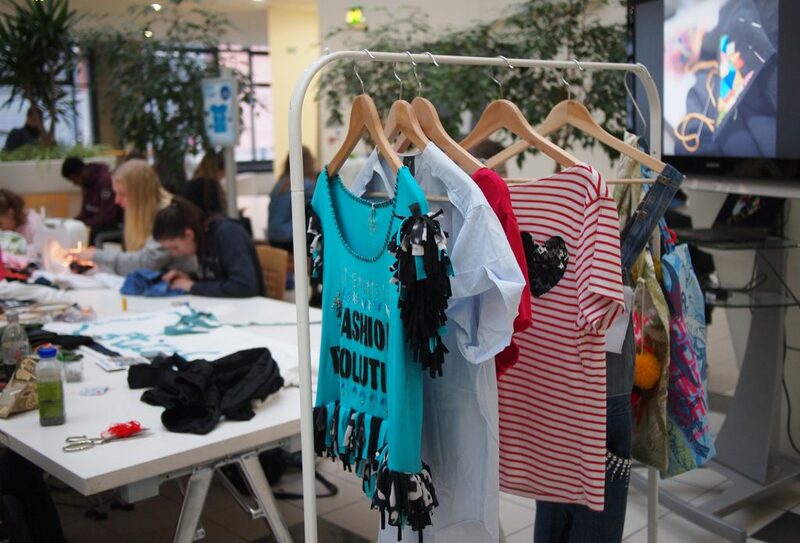 Come and help kick start the Fashion Revolution in Manchester!